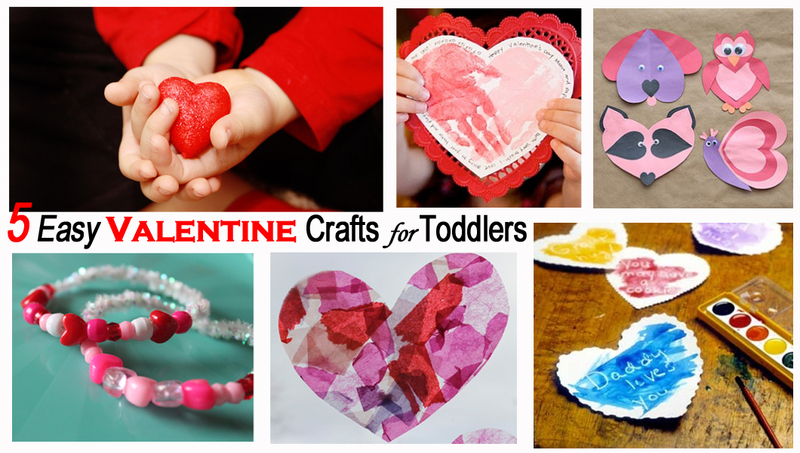 Valentine’s Day is right around the corner and nothing says love more than gifts made by your children. Here are some fun crafts you can do with your whole family that can be given to grandparents, aunts, uncles and friends. But more importantly, it’s time spent together creating fun projects and precious memories. Threading beads is great way for children to build small motor skills and in this case, it also creates something fun. 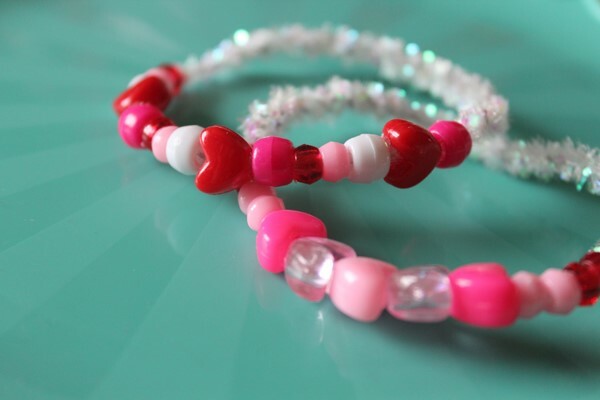 All you need are chenille stems (pipe cleaners) and red, white, pink and heart-shaped beads. Cut the chenille stems to be a good size for a bracelet. Leave a little extra on the end so you can connect the two ends together. Now, it’s time to put the beads on. A pipe cleaner works better than string because it is more firm, making it easier for little ones to get the beads threaded. Once the beads are on connect the two ends together to make the bracelet. This simple craft is great for all ages and creates fun results. 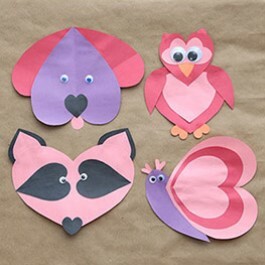 Cut heart shapes of different sizes out of red, pink and white construction paper. Using a glue stick, the hearts can be glued together to make different animals. They can also be glued onto another piece of construction paper. If you have googly eyes, you can add those as well for fun effect. This craft is fun to create, but even more fun to uncover. Cut large hearts out of white construction paper. Then, using a white crayon, older children can write a message and younger ones, can draw a picture. To reveal the secret message or design, simply use watercolor paints. 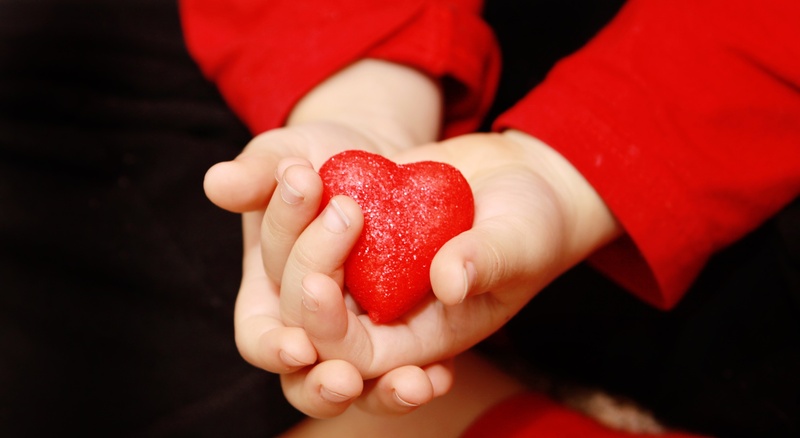 All ages can have fun creating these colorful hearts. 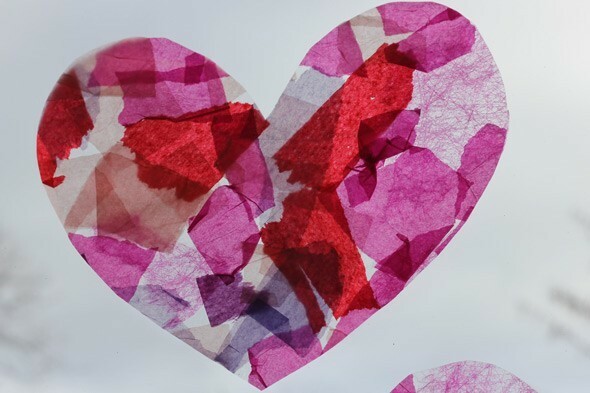 Cut or tear pieces of colored tissue paper (red, pink, purple). In a small container, mix up some white glue and water. This will be used to secure the tissue paper to the construction paper. 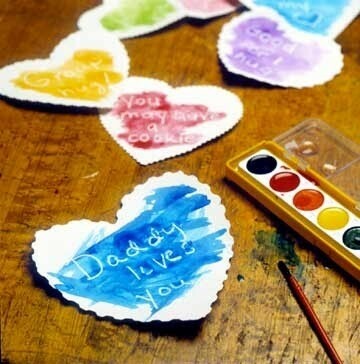 Give each child a piece of white construction paper and a paint brush. Paint a little of the glue mixture on the paper, put a piece of tissue paper on it, then paint over the top. Continue to cover the white paper this way. Once it all dries cut out one big heart shape or a couple of small hearts. This cute Valentine keepsake makes a great gift for members of your family. Using red or pink paint have your child make two handprints on white paper, as seen here. 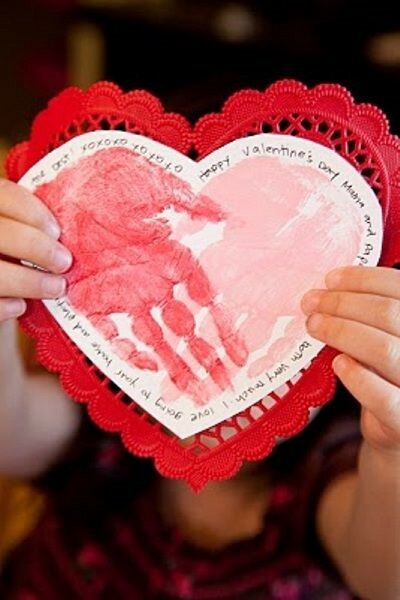 Once it dries, cut around the handprints to make a heart. You can write a nice message around the outside, write the date or leave it blank. Then glue that paper to a doily or a piece of colored construction paper shaped like a heart or leave the paper as a rectangle with the handprint heart in the center.